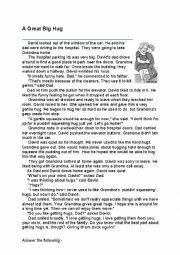 an emotional passage showing family relations and love.pupils can answer the questions by reading the paragraphs again. 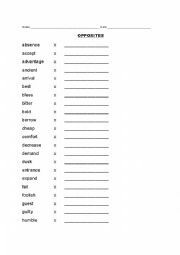 with the help of the pictures separate the nouns into countable and uncountable. 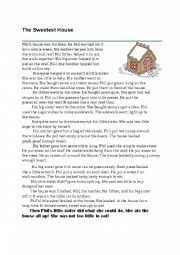 reading comprehension for 2nd and 3rd graders.Preposition and verb exercise that I have added is from the text. comprehension text is informative. pupils will also learn the country and its nationalities while solving the exercise. 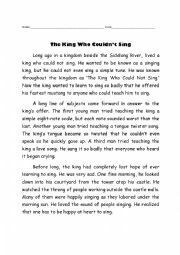 Along with the preposition worksheet, i have added a story from aesop�s fable, in which the students will underline the prepositions while reading the story. 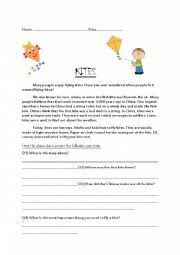 A fun way to make kids learn with the help of a story. hope it will be appreciated! 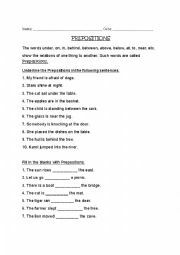 simple present continuous worksheet with the rules explained to change the spelling.Answer key attached. 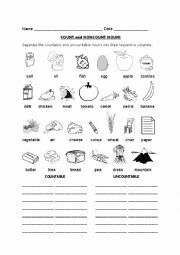 simple worksheet for learning opposites with the answer sheet. 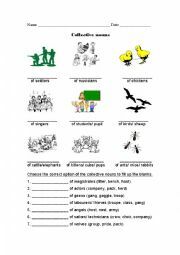 practice worksheet for collective nouns created in a different way. 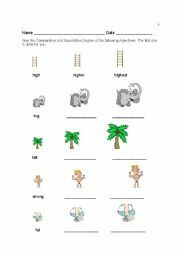 It will help students learn the collective nouns by solving the exercise.